Most people jump to the conclution that these words are telling us that Enoch did not die. But the letter to the Hebrews is telling us in plain words that Enoch, in fact did die. "These ALL died in faith, not having received the promises,"
This text is written after having mentioned only five old testament prophets. Nr. 2 Heb 11:5 By faith Enoch was translated that he should not see death; and was not found, because God had translated him: for before his translation he had this testimony, that he pleased God. Amongst these 5 people mentioned from the old testament, we find the prophet Enoch mentioned together with four others, who also died. The answer is not what. It is a who? Noah is the messenger of death to his generation. Enoch the seer, was seeing a death messenger coming, in the future. He knew himself to be the 7th messenger from Adam. And he foretold the 10th messenger from Adam to be the messenger of Death. When Noah was born, they knew him to be the redeemer, foretold by Enoch. 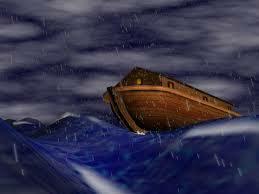 Noah killed the thorns and thistles of the old world, by faith, by the flood. The thorns and thistles were Cain and his generation. They were the evil flesh. Enoch died 4 years before Noah was born at the age of 365 years, and this is the reason why Enoch did not SEE death. If he did live to see the child Noah, he would have seen death. Dying at the age of 365 years, he fulfilled his own prophecy of not living to see death. Every single firstborn child of Adam were dead BEFORE the flood ever started. God was waiting in the days of Noah. 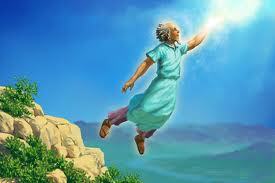 The last righteous person that God was waiting for, was the messenger Methusalem. He was the last person to die, in order for God to start the judgement upon the unjust world. It is the foretold death, coming to all flesh, in the days of Noah, by the messenger of death, Noah. Enoch the prophet foretold death to come to all flesh, by this great messenger. IN THREE GENERATIONS TIME, DEATH WILL COME TO ALL FLESH. But I, myself is not going to see death. This was the message of Enoch, misunderstood by the Bible readers of today. By faith, Enoch was taken away before death was born, and by that, his prophecy about his own life was fulfilled. He never saw death. He died before death was born. The message of condemnation, coming to the ungodly world, condemning them to death, by faith. Foretold by the seer, the prophet. LUKE 2:29-30 Lord, now lettest thou thy servant depart in peace, according to thy word: For mine eyes have seen thy salvation. Also Simeon died. But he saw the salvation of God, before he died. 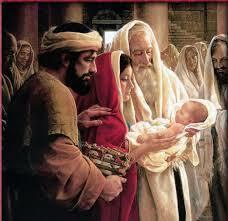 By seeing the child, Jesus, this old man had seen the salvation of God. By seeing the child Noah, those who saw Noah, then had seen DEATH, even Noah had done no act of faith yet, to bring death to the world. Noa was the DEATH messenger who, by faith condemned the old world to death.